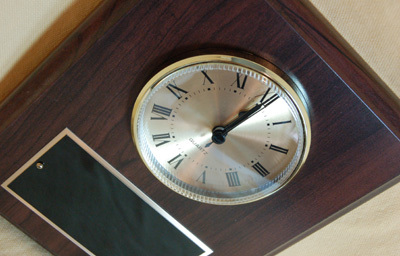 Engrave your logo or special message on any of our beautiful clocks. These ornate clocks are perfect for office or business gifts! We can engrave acrylic desk clocks, book clocks, clock plaques, marble desk clocks, weather station plaques, wooden desk clocks or even clocks provided by you. Nothing quite matches the elegance and beauty of optical crystal or polished glass awards! 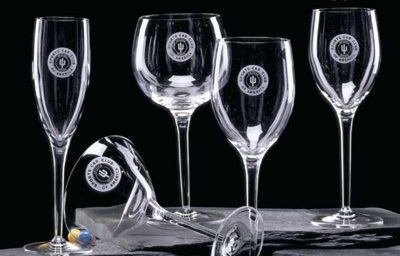 Our state-of-the art engraving technology allows us to handle the engraving in-house, with full control and oversight and the ability to make last-minute changes or additions to your order. Logos, graphics or even photogaraphs may be easily reproduced on these beautiful awards. These awards elevate regognition to an art form! All of our pewter products can be personalized with your logo and/or special message. 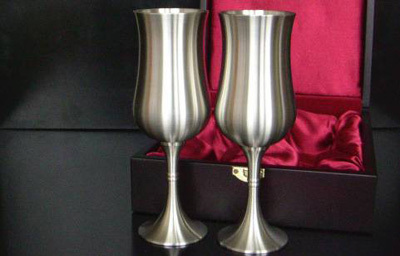 Some of the pewter items available are: Tankards, Awards, Dishes, Trays, Letter Openers, Keyrings, Candlesticks, Clocks, Bells, Sports Items and Desk Accessories. Pen Sets, Frames, Wedding Gifts, Graduation Gifts, Baby Gifts and much more.